In 1998 I reviewed a play for Interzone. It was one of 5 reviews I wrote for the magazine around then, but only 3 were published. There was not a great deal of genre theatre to review, especially where I lived (and still do) in the Manchester area so my reviews were few and eventually got shorter and are very rare now. Below is one of the unpublished ones and I revive it here only because yesterday I came across this, another ‘genre’ promenade play in a park ; ‘Hobbit’ at Willamson Park, Lancaster. Maybe the following will encourge you to go, maybe it won’t and maybe it will be useful if you do go. 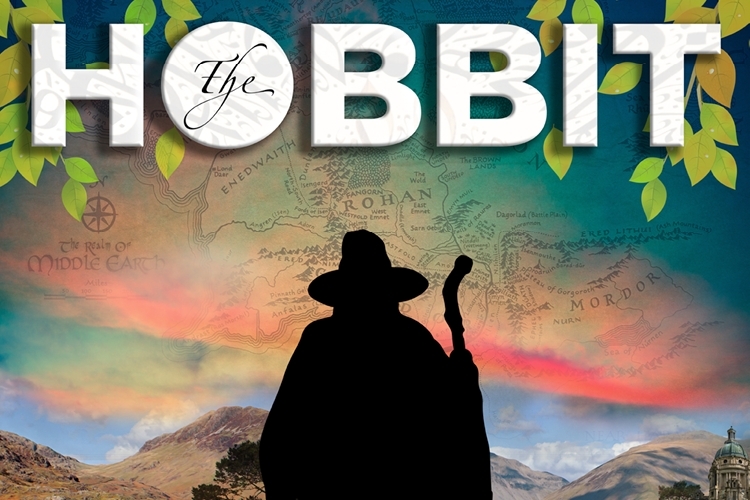 Hobbit is on from 5 July to 13 August. Encouraged by evidence of global warming Manchester’s Midsommer Actor’s Company started touring plays outdoors; in parks and the grounds of churches, abbeys and castles. 1998 is not a good year for promenade plays in the parks but their PR states the show goes on come wind, rain or sun. `Bring something to sit on; folding stool or waterproof groundsheet, warm clothing, sensible footwear, raingear, torch, insect repellent’. We didn’t need the insect repellent. This year’s production, _Dracula – The Undead_, premiered around an ancient stone chapel so audiences trailed the action through `towering beech woods’ and parkland. With a warm dry summer still a possibility this seemed like a good idea midway through the World Cup. On 21 July we sat, windswept and cold, under low, scudding cloud on the lawn fronting Stockport’s Chadkirk Chapel. From this 1476 Danube battlefield we crossed the grass to the hinterland of Harwich in the 1870’s and the Murray’s molehill spoiled croquet green. Soon we knew that Vlad’s body had disappeared after the battle. Harwich was isolated because of a strange plague that left local girls pale and dead in their beds. Quarantine stranded strangers were welcome to stay at the Murray’s home and Mina’s intended was away in Transylvania trying to sell East Anglian property to a chap called Dracula. Each scene moved us progressively further into the warmth of the woods. Technology, other than lighting, was not evident so the acting relied on loud voices and dramatic gestures. Melodrama ruled the forest but at this point, a half mile from the toilets, one began to regret visiting the bar before the play. Scenes from Suffolk and Rumania alternated in those leafy glades. The director, Simon Corble, took advantage of the landscapes with anguished cries and screams from all round signifying events in Transylvania, (no need for Dolby C here.) using steeply rising banks as settings to ensure audiences had good views and winding a nicely judged funeral procession across a distant ridge. The echoing hymns of the pallbearers distressed the mysterious Lucy far more than the death of the poor girl being buried. This angered Mina but she and Lucy still became more than good friends. Dr Morton also fell for Lucy but, puzzled by her sleepwalking and the plague’s effect on Mina, he decided to call in the cavalry. Enter Van Helsing to help his former pupil. The first scene after the interval, with Simon Kirk as Van Helsing, is undoubtedly the most effective of the night. Everything before has been one long introduction. His first appearance gets the drama moving. This scene is effective SF, but it is the only one. Nevertheless Van Helsing soon shows us that a croquet mallet in scene 2 has to strike by scene 9. Martin Pirong’s Dracula provides a frisson of anxiety, appearing out of the dark to find Lucy staked out on the croquet pitch. Events hasten to the expected conclusion but the route is different. The final scene, outside the real chapel, leaves Mina alone and unprotected. She does the paperwork while the men rush off, through real rain and over real gravestones, to find Dracula’s coffin, a task considered “too dangerous for women”. She soon finds a scary hand on her shoulder but, luckily, her typewriter intrigues Dracula. Mina takes advantage of his distraction and, being quite handy with a paper spike, pins him to her chair. This production was no parody, unlike this summer’s cancelled _Dracula – The Musical with Bite_ but the script was uneven and the actors were always fighting against outside distractions: rain, the lowing of cows over the battlefield, trees in the wrong place. Overall it never reached ‘must see’ status however if you fancy an unusual family night out, especially at the more atmospheric venues, you won’t be disappointed. The tour, which finishes late September, is centred around Manchester but includes Lord Byron’s old home, the gothic ruins at Newstead Abbey (Notts), Peel Castle, Isle of Man and Helmsley Castle, North Yorks. We finish with practicalities. The cold start after a couple of pints left me wishing I had ordered spirits at the bar. Ladies might want to check the distance and scarcity of toilet facilities unless they are prepared to emulate the men and retire to the undergrowth. Don’t speed off the paths in the dark, those low branches can give you a nasty headache. If you rely on public transport make sure you have around 45 minutes leeway for any overrun. To brexit or not to brexit? That is no longer the question.